From the Sunsplash Divers Resort we will be driving south for around 30 minutes, passing wide Wadis and narrow valleys lined by massive rocks shimmering in every color imaginable. 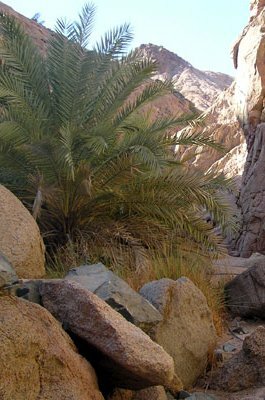 We will stop at a Bedouin’s drinking water fountain and from there start our hike to a narrow valley with huge boulders. 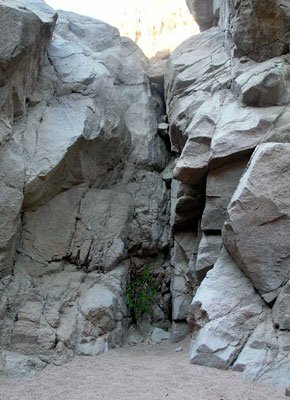 “Armed” with plastic bags we can now slide down a little natural chute in the rock. Join the fun in the hills of Menhir Wadi! There is also a colorful fauna that just waits to be discovered by you.